Vietnam is marking 40 years since the end of a war which killed at least three million of its citizens. 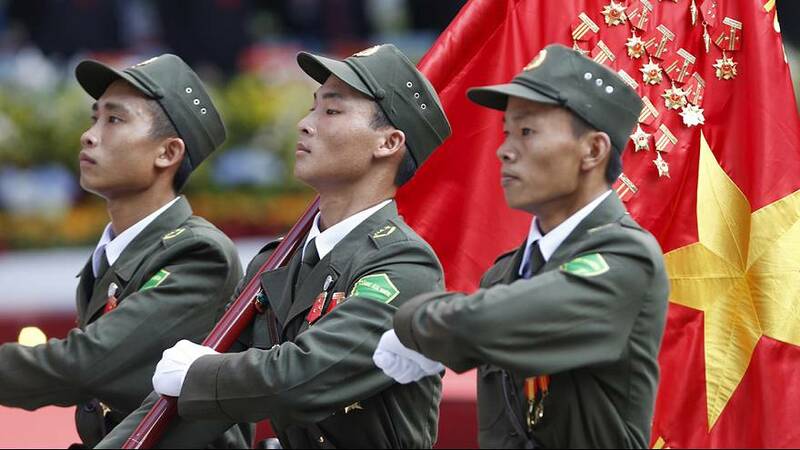 The country’s political and military powers attend a colourful parade in Ho Chi Minh City. Formerly known as Saigon, the then capital of South Vietnam fell to the north in 1975, setting the wheels in motion for the nation’s reunification under Communist rule. Vietnam is celebrating the 40th anniversary of the capture of Saigon by communist troops, an event which marked the unification of the country. How do you feel that day affected the world? The Vietnam War was fought over more than two decades, following the signing of the Geneva Accords in 1954, which divided the country in two. Guerillas in the US-backed south fought against the separation, helped by the Communist north. US bombs were launched in 1964, followed by the arrival of its ground troops in ’65. They would continue fighting for a decade. Some 58,000 American troops died during the conflict, dividing opinion on the country’s involvement. The Paris Peace Accords officially ended US involvement in 1973, although fighting continued between the north and south until North Vietnamese troops rolled up to the presidential palace in Saigon, ending the war.